Blog: Do You Carry Concealed with Confidence? 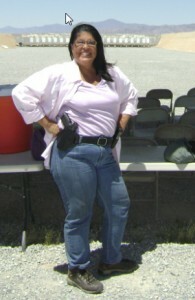 Do You Carry Concealed with Confidence? You have basic pistol training and maybe even a concealed handgun permit. But can you get your gun out of your holster quickly, safely and effectively? (It is a lot harder than it looks on TV). Could you actually protect yourself or your family if their lives were on the line? Come and spend some time with the instructors at Straightforward Shooting and learn how in our advanced “CONFIDENT CARRY™” Workshop this March. Straightforward Shooting’s Confident Carry™ workshop is offered in 3 sessions beginning March 25 – March 29. Workshop size, is limited to ten students, and will focus on learning and improving the physical skills necessary for you to protect yourself against a criminal attack with confidence. • Session 1 – (March 25 6:00 pm to 9:00 pm) – Basic physical skills required: drawing from a holster to the ready position, drawing to a shooting position, shooting to stop, moving from the ready position to a shooting position, effective trigger control, and safely reholstering your handgun. The first session will be in a classroom setting at Dakota Ridge Church in Littleton. • Session 2 – (March 27 6:00 pm to 9:00 pm) – Demonstrate that you can execute these skills safely using state-of-the art SIRT laser training guns in a classroom setting at Dakota Ridge Church in Littleton. • Session 3 (March 29 10:00 a to 1:00 pm) – You will use the skills you have mastered with live ammunition on the range at Ben Lomond Gun Club in Ramah, CO.
We supplement the hands-on training with information covering handgun safety, Colorado law regarding self-defense, situational awareness, shooting from cover and concealment, and the mental preparation necessary to use a handgun in self-defense. 5. Demonstrate competence with basic handgun skills before the class in a private lesson. 6. Hat that covers the eyes (like a bill cap—live fire portion only). Most importantly, you will learn and effectively practice those critical mental and physical skills necessary to confidently carry your handgun for personal protection. We’d be delighted to spend some time with you in this fun and functional workshop. To learn more or to register, please call Tina at 720-989-9662. Get a free copy of the 90 page e-book, “The Straightforward Shooting Guide to Basic Pistol Shooting.” Cick Here! Host a Concealed Carry House Party and get your concealed carry class FREE.